I'm going to be straight with you. 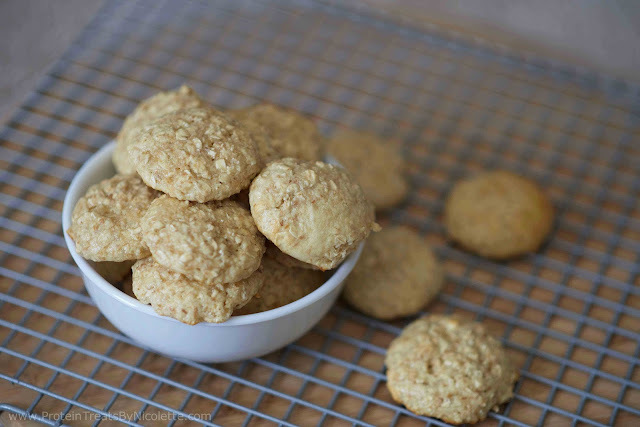 Oatmeal cookies have never been my favorite kind of cookie. I dunno. I expect it's from my obsession with regular, oat-free cookies. But I really, REALLY liked these little ones. I'll give you a secret, too - toasted coconut is exponentially better than un-toasted coconut. Toasting it creates a deep, caramel-like flavor, which....umm hello. Delish! I loved that flavor paired with the simplicity of the oats. Add the fact that the cookies are essentially sugar free, I'm a big fan! 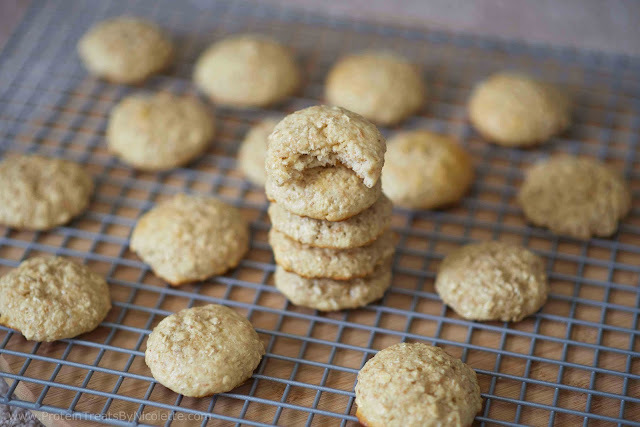 This delicious spin on your traditional oatmeal cookie adds the perfect amount of tropical flavor. The vanilla protein compliments the coconut flakes, creating a unique protein cookie! Enjoy! 1. Preheat oven to 350 degrees F. Spread the coconut flakes onto a sheet pan and bake for about 5-7 minutes, or until flakes are golden brown. 2. Combine egg, milk, and extract in a mixing bowl. Whisk together until the mixture is smooth. 3. 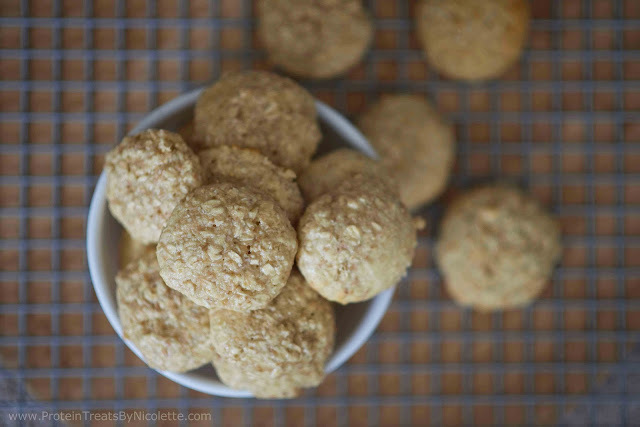 To the mixing bowl add protein powder, oats, xylitol, baking powder, and toasted coconut flakes. 4. Stir together until well combined. 5. Drop about 1 tablespoon of cookie batter onto sheet pan, repeating this process until 22 cookies are made. 6. Bake the cookies in the oven for 8-10 minutes. Let cool and enjoy! 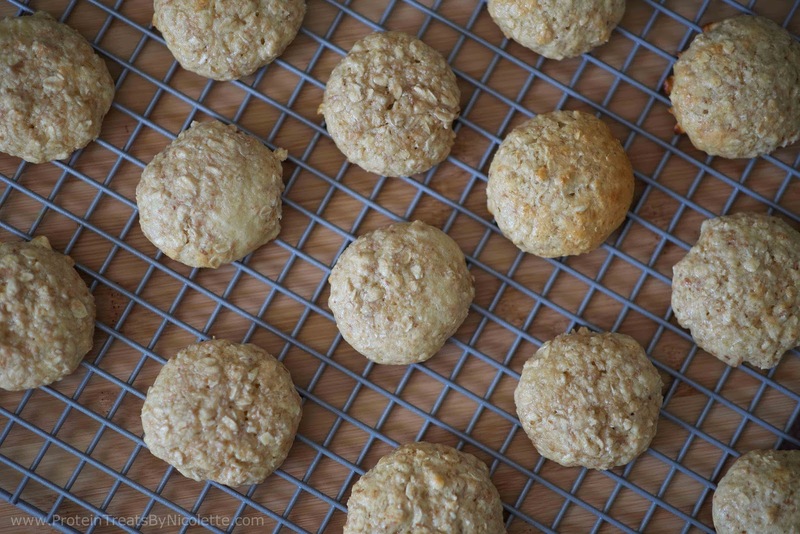 I love the idea of toasted coconut cookies with oats! So delicious!